SACRAMENTO, Calif. /California Newswire/ — In some California cities, including the city of Glendale, residents are prohibited from installing synthetic grass or artificial turf to reduce water consumption. 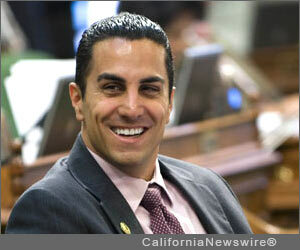 When Assemblyman Mike Gatto (D-Glendale), the principal co-author of last year’s California Water Bond and numerous other water-efficiency bills, heard from KABC’s Elex Michaelson that cities in his district were fining constituents for replacing water-intensive lawns with realistic looking synthetic grass, he amended AB 1164 to provide relief to residents. Today, the Senate Committee on Natural Resources & Water approved the bill by a 9-0 vote. AB 1164 would prohibit local governments from banning water-conscious landscaping at private residences, so long as the landscaping meets certain stylistic and water-permeability standards. The legislation also creates an incentive program for homeowners who voluntarily replace their grass lawns with drought-resistant landscaping, including native plants and artificial turf, among other mechanisms. As California enters its fourth consecutive drought year, Assemblyman Gatto wants to protect homeowners who install water-efficient landscaping, and encourage others looking reduce urban water use to do the same. AB 1164 is Assemblyman Gatto’s latest in a years-long series of bills aimed at water conservation. Last year, he authored AB 2282, which required California to adopt building standards for recycled water in newly constructed commercial and residential buildings. That same year, Gatto carried AB 2636, a measure that created the CalConserve program, a $10 million revolving-loan program to finance water-efficiency projects for home owners and businesses. Other water-efficiency legislation by Gatto includes AB 2230 (2012), which requires all new carwashes to use 60% recycled water, and AB 849 (2011), which fostered the use of graywater technology, both of which are considered pioneering legislation drafted with forethought and prior to the drought.